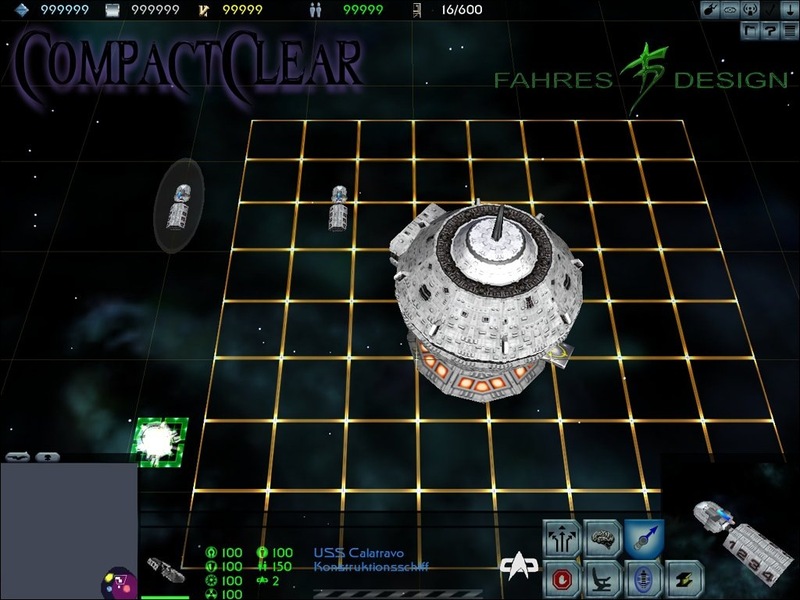 Yep, another cool GUI mod from FahreS to add to his recent releases, guess he is on a bit of a role. 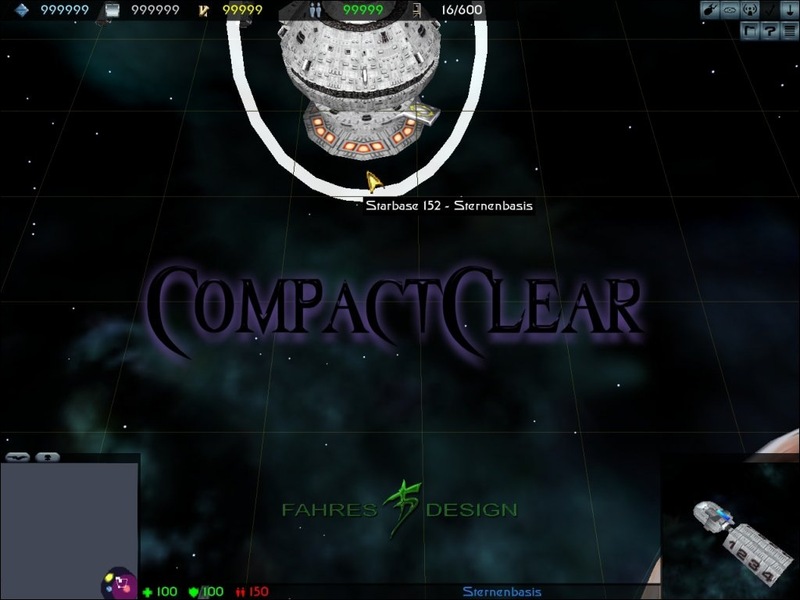 This is the CompactClear Gui mod which will change the selected races menu buttons so that they are arranged in a numpad-type palette where the tactical window is placed. The background of the palettes and menu are more opaque than normal or so they appear. This arrangement is not as neatly placed as the stock menu but the commands all placed in the numpad type layout make it easier to see and access. Even though it obstructs the tactical window it will prove useful ingame. This adds to the efficiency of your gameplay as you as accessing commands is unrestricted by a frame like the stock layout, however some may not like the way it departs from the original layout so it may take some getting used to. If like myself you are used to nothing but the hotkeys (habbit obtained from Homeworld), you would still find this arrangement a great help. This can be integrated into the Project Blue GUI mods that FahreS has created lately. 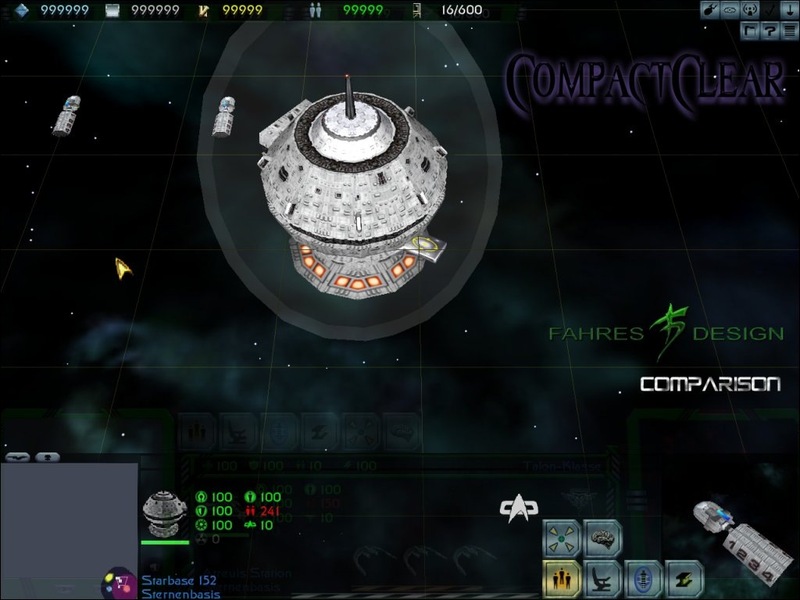 In addition you can choose between a 4:3 and a 5:4 screen resolution version. use the file "gui_fed 5by4.cfg" and rename it to "gui_fed.cfg". the 4:3 version may look better although you have a 5:4 screen. Test this, if you want. and replace the old file. You may backup the old file before replacing. I: If hou have installed "Project Blue: Level 2" use "gui_federation PBL2.spr"
and rename it to "gui_federation.spr". I: These variants also have "Project Blue: Level 2" versions. if the buttons did not overlap the cinematic view, then they would have needed more space. and i thought, that the cinematic view isnt as important as more space in the overview. 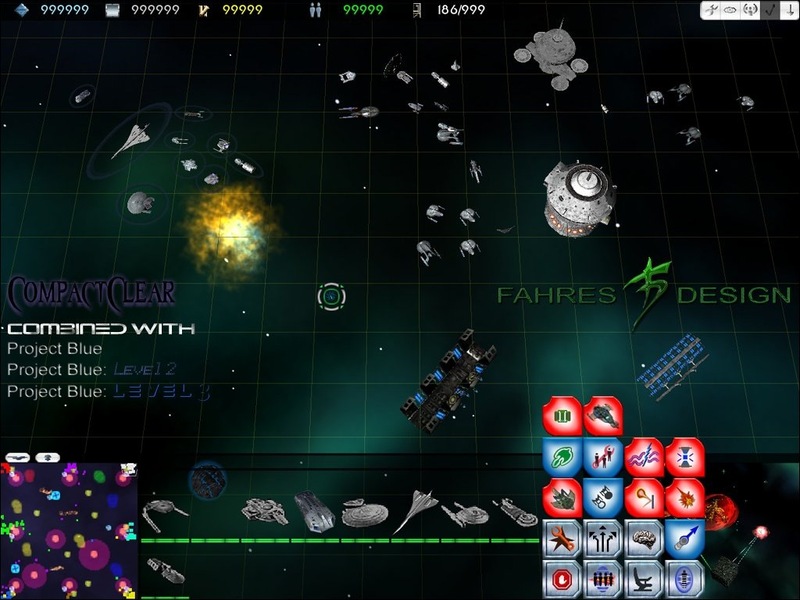 Oh I agree FahreS, the stock layout is not good for RTS, I've installed this mod and I am using it.